Join the Manhattan Beach Chamber of Commerce for an Evening of Networking at Il Fornaio tonight, Thursday, May 26 from 5:30 to 7:30 p.m. sponsored by Always Best Care Senior Services. Spend the evening getting to know the movers and shakers in Manhattan Beach. Attendees will build their network while enjoying refreshments from Il Fornaio. The cost is $15 for Chamber Members and $25 for non-Members. For additional information, visit the website at http://business.manhattanbeachchamber.com/events/details/manhattan-beach-chamber-mixer-at-il-fornaio-8391. Il Fornaio is located at 1800 Rosecrans Avenue in Manhattan Beach. The City of Hermosa Beach Park, Recreation and Community Resources Advisory Commission will host the Community Theater Community Engagement & Open House tonight, Thursday, May 26 at 6 p.m. The community is invited for a behind-the-scenes look at the City’s Community Theater including equipment demonstrations and brief presentations. Get a backstage pass to learn about the theater and share your ideas for the future of the facility. If you are unable to attend, you can share your thoughts and ideas on the survey at this link http://www.hermosabch.org/. For additional information, call 310-318-0280. The Hermosa Beach Community Theater is located at 710 Pier Ave, Hermosa Beach. Speaking of Terranea….They’ll be kicking off the summer this weekend with a number of special events. From concerts and movies to shopping and dining, Terranea is pulling out all the stops to make this Memorial Day Weekend a memorable one! 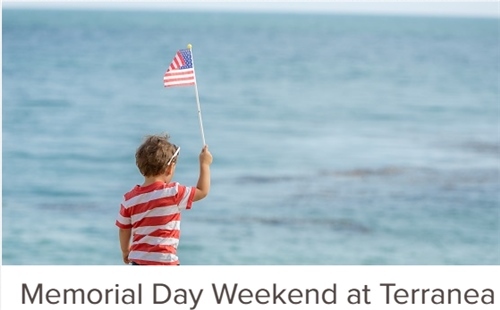 To view the schedule of events, visit the website at http://www.terranea.com/blog/memorial-day-weekend-at-terranea. Museum is located at 610 Lairport Street, El Segundo, CA 90245. The Seaside Lagoon opens for public use beginning Saturday, May 28 and is open daily through Monday, September 5. Situated on the southwest corner of Harbor Drive and Portofino Way in Redondo Beach’s King Harbor, the Lagoon operates from 10:00 a.m. to 5:45 p.m. daily throughout the summer months. The large saltwater lagoon offers trained lifeguard supervision. Besides swimming, the Lagoon offers a large sand area for sunbathing, children’s play equipment, snack bar facilities provided by Ruby’s Restaurant and volleyball courts. There is also a grassed area and luau shelter for day and evening events. For additional information and ticket purchase, visit the website at http://www.redondo.org/depts/recreation/facilities/seaside_lagoon/default.asp. The Seaside Lagoon is located at 200 Portofino Way, Redondo Beach, CA 90277. The Torrance Historical Society will conduct a Memorial Service for Torrance service personnel who gave their lives in U.S. military actions on Monday, May 30 at 2 p.m. The program will take place at Memorial Plaza at the corner of Torrance Boulevard and Maple Avenue and will include the reading of the 146 names on the Wall. Those names include war losses from World War I to those in the Iraq and Afghanistan Wars. With the help of a handful of volunteers, the Torrance Historical Society is continuing to gather and preserve the too-short life story of each of the Torrance military war causalities. To date, the organization is halfway to their goal of putting a face on each name. The Memorial Service is free and open to the public. For additional information, call the Museum at 310.328.5392 or visit the website at http://www.TorranceHistoricalSociety.org. The Torrance Historical Society & Museum is located at 1345 Post Avenue in Old Torrance. The City of Hermosa Beach and the Hermosa Arts Foundation present the inaugural South Bay Film & Music Festival from June 1 through June 5. Selections will include offerings from the Surf Film Showcase, Cause Cinema Spotlight, South Bay Sessions, and Retrospectives, as well as art exhibitions and special presentations. Many of the filmmakers, actors and participating artists will be on hand for Q&A sessions following the film screenings. The Festival will also present a number of World Premieres, including features on the subject of music, as it looks to demonstrate the powerful connection of film and music, while sharing key insights to the music industry at large. Noting the surf and music culture within the Beach Cities, special surf-themed cinema events and performances are expected in the Festival’s lineup. The event also features an Opening Night Gala where guests can kick off the festival with A Taste of the South Bay. Festival passes are on sale now. For additional information and ticket purchase, visit the website at http://www.SouthBayFest.com. The Manhattan Beach Chamber of Commerce presents the third annual Bite at the Beach on July 9 at MBS Media Campus. Tickets are on sale now – General Admission is $75, VIP is $100. Purchase your tickets before June 1st and receive two for the price of one! ENTER CODE: 060116. For additional information, visit the website at http://www.southbaybyjackie.com/bite-at-the-beach/. You don’t want to miss this! So if you’re wondering, “What is there to do around Palos Verdes?”, keep checking back to this site. These are just a few of the events taking place, so be sure to check the Calendar links, Things to Do page and Daily Blog on my Jackie’s website http://www.southbaybyjackie.com for details on these and other events happening throughout the South Bay. And in your down time, why not explore What’s My Home Worth? Based on information from California Regional Multiple Listing Service, Inc. as of April 18, 2019 11:01 and/or other sources. All data, including all measurements and calculations of area, is obtained from various sources and has not been, and will not be, verified by broker or MLS. All information should be independently reviewed and verified for accuracy. Properties may or may not be listed by the office/agent presenting the information.